A delicious and festive way to say happy birthday. 12 giant California strawberries are hand dipped and decorated in birthday themed colors for a beautiful gift presentation. Shipped overnight on ice to ensure freshness and quality. A dozen ways to say 'I love you'-in the most scrumptious possible style. 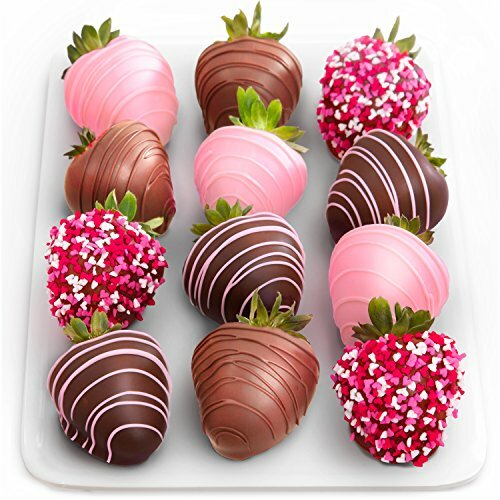 Our giant strawberries are lavishly hand-dipped in premium dark, milk and cupid pink white chocolate in our own kitchen, then decorated with heart sprinkles and chocolate drizzles for a heartfelt gift. All of our real chocolate covered strawberries are beautifully packed in our signature gift box with ice packs, then shipped overnight to ensure perfect arrival. Twelve pretty-as-spring berries, ready to share for Easter, Mothers Day or any Spring occasion. 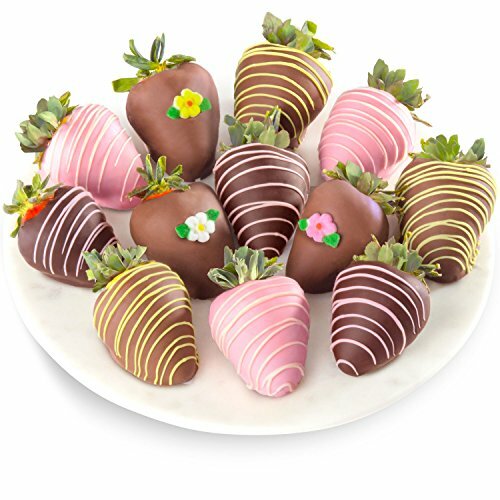 Our giant California strawberries are hand-dipped, covered in real premium dark, milk and white chocolate and finished with drizzles and decorations. Presented in our signature gift box and shipped in protective packaging with ice overnight to ensure perfect arrival. Nine ways to say 'I love you' in the most scrumptious possible style, these fun-size California strawberries are lavishly hand-dipped in premium dark, milk and white chocolate, then decorated with hearts, drizzles and sprinkles. Our berry bites are made with smaller berries that are packed in larger quantities than our usual huge berries, making them just right for easy eating and sharing. All our berries are hand dipped only in real premium chocolate and beautifully packed in our signature gift box with ice packs, then shipped overnight to ensure perfect arrival. 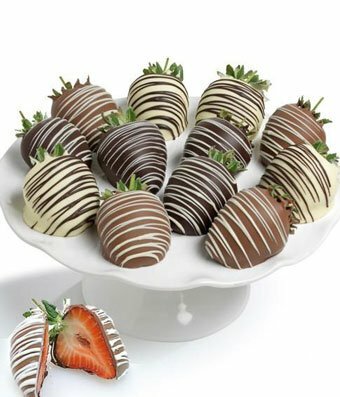 18 ways to say 'I love you' in the most scrumptious possible style, these fun-size California strawberries are lavishly hand-dipped in premium dark, milk and white chocolate, then decorated for valentines day. Our new berry bites are made with smaller berries that are packed in larger quantities than our usual huge berries, making them just right for easy eating and sharing. All our berries are hand dipped only in real premium chocolate and beautifully packed in our signature gift box with ice packs, then shipped overnight to ensure perfect arrival. 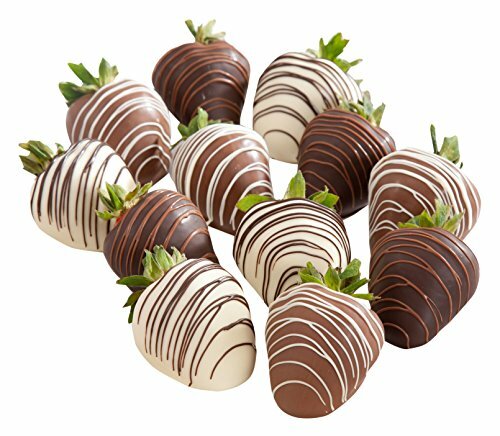 Indulge in pure dark, milk and white chocolate covered strawberries. 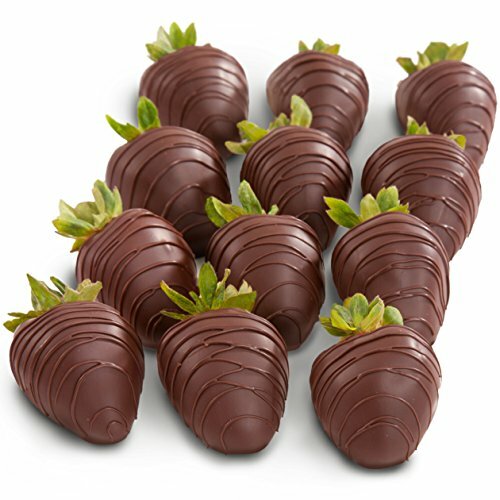 These 12 giant California strawberries are dipped only in real premium chocolate and beautifully packed in our signature gift box with ice packs, then shipped overnight to ensure perfect arrival. 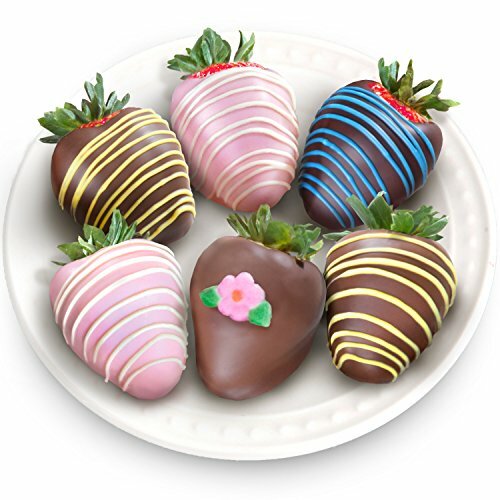 Six pretty-as-spring berries, ready to share for Easter, Mother's Day or any Spring occasion. Our giant California strawberries are hand-dipped, covered in real premium dark, milk and white chocolate and finished with drizzles and decorations. Presented in our signature gift box and shipped in protective packaging with ice overnight to ensure perfect arrival. 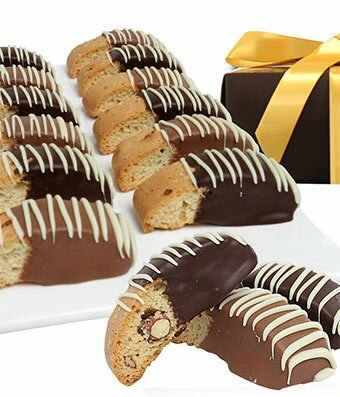 Biscotti is an Italian classic, and this biscotti is extra special because each piece is hand dipped in Belgian Chocolate. They are an absolute treat and are sure to make their day extra special. The gift basket is delivered with twelve biscotti which are dipped in white, dark and milk chocolate. ALLERGEN ALERT: ALL PRODUCTS FROM CHOCOLATE COVERED COMPANY CONTAIN EGG, MILK, SOY, WHEAT, PEANUTS, TREE NUTS AND COCONUT. FOR THESE REASONS, WE RECOMMEND THAT THOSE WITH FOOD RELATED ALLERGIES TAKE THE NECESSARY PRECAUTIONS. Copyright © Wholesalion.com 2019 - The Best Prices On Hand Dipped Strawberries Online.